You have been waiting and now it is time to unveil for Flintloque the brand new packs of Wraiths in the service of the Dark Czar. 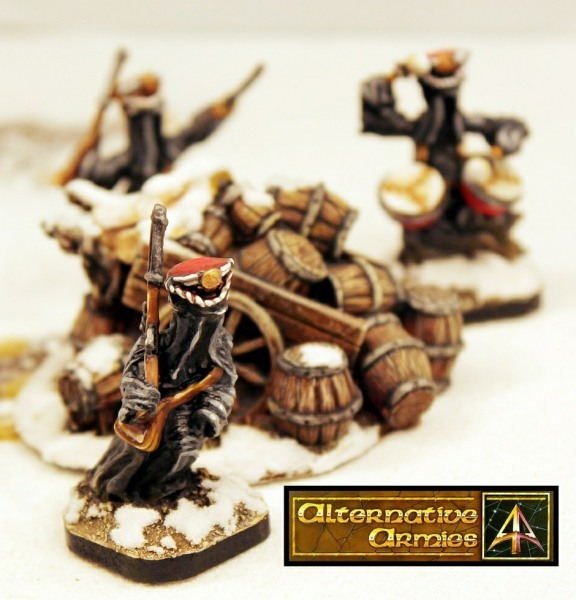 Choose from a unit or packs with a total of ten poses of resin 28mm miniatures. Click though to read and see more plus a free two page Uniformation article with game stats and new character profiles. Our Black Friday Event is on and that means free worldwide shipping (15GBP or more in cart) plus 10% off every code on the website until 9am GMT Tuesday 27th November. Details of this in the article. Thanks. This entry was posted on Wednesday, November 21st, 2018 at 16:08 and is filed under News. You can follow any responses to this entry through the RSS 2.0 feed. You can skip to the end and leave a response. Pinging is currently not allowed.